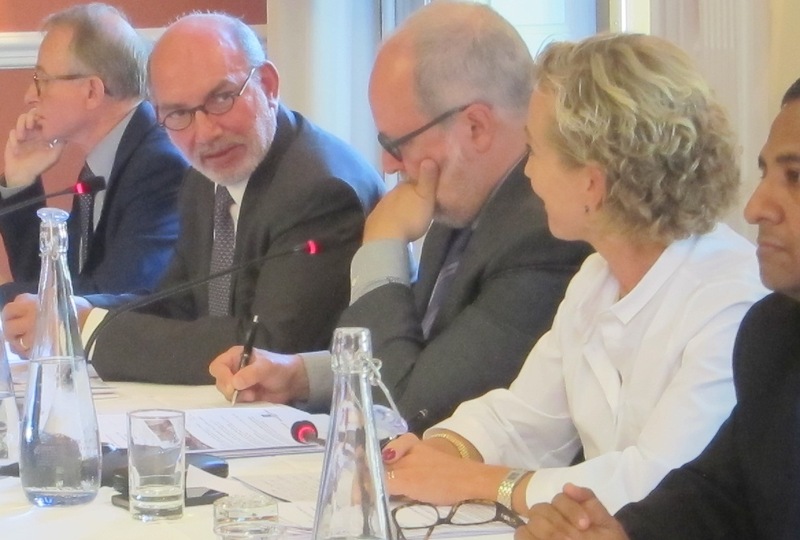 On Thursday, 4th September 2014, the Governments of Norway and Switzerland, supported by Universal Rights Group, held a panel discussion on “Reflections on the future of the UN’s human rights pillar,” followed by a reception. The event was attended by around 90 ambassadors, diplomats, NGOs, UN officials and academics. The event offered an opportunity for all stakeholders to reflect on the future of the UN’s human rights pillar in the build-up to the Human Rights Council’s 10th anniversary in 2016. In this context, we were delighted that H.E. Ambassador Luis Alfonso de Alba, the first President of the Council, joined us for the meeting, along with Dr. Ahmed Shaheed, Professor Michael O’Flaherty and Richard Bennett.